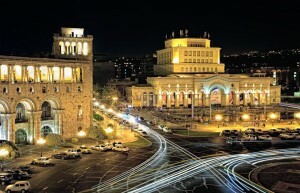 Alexander Tamanyan designed the ensemble of Republic Square of Yerevan. Originally conceived as an oval, then it got a more complicated form – a combination of the oval with the trapeze. Once the Republic Square was called Lenin Square, and was renamed after the collapse of Soviet Union. 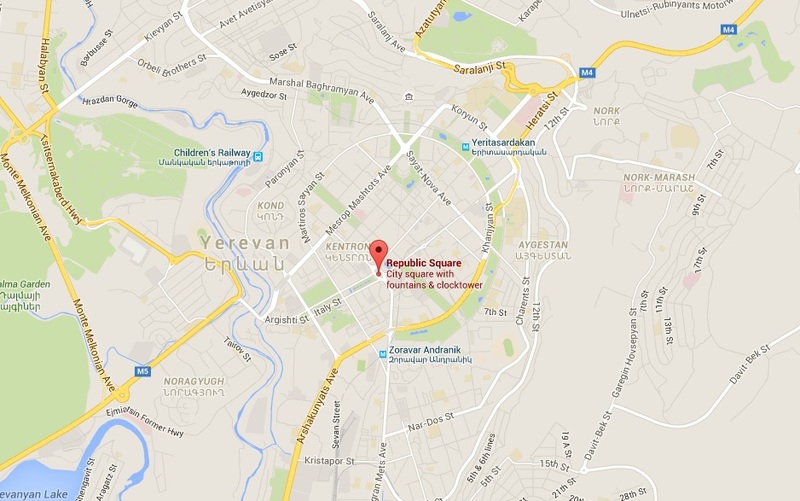 The square is surrounded by The National Gallery and the History Museum, The Ministry of Territorial Administration, The Government House, The Central post-office, “Mariott Armenia” hotel, The Ministry of Foreign Affairs and The Ministry of Energy and Natural Resources. 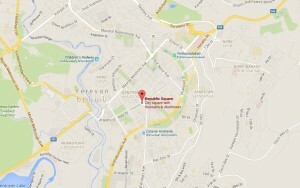 The buildings are made of Armenian rose tuf. Within the period between early spring and late fall the Singing fountains perform a show right in front of the National Gallery. 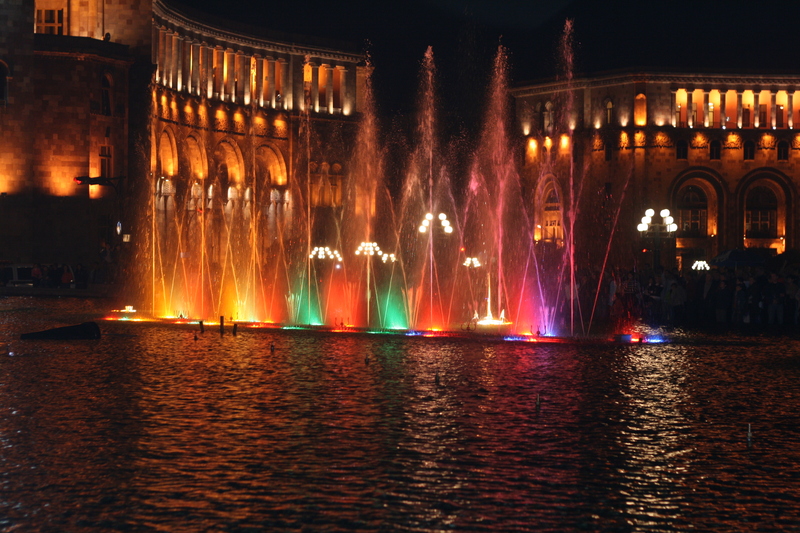 Here you can listen to classical music, jazz, rock and enjoy the light show. 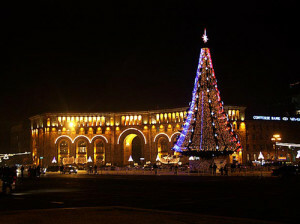 Republic Square is especially beautiful and impressive in the evening, when the lights are turned on. Concerts and other events are frequently held here. 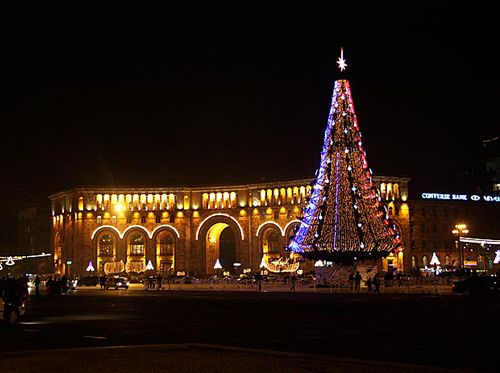 The mail Christmas tree is also placed here each year.